Please note, no further discount codes can be applied to this product. Please note, this product is a direct dispatch, and will incur an extra delivery charge. 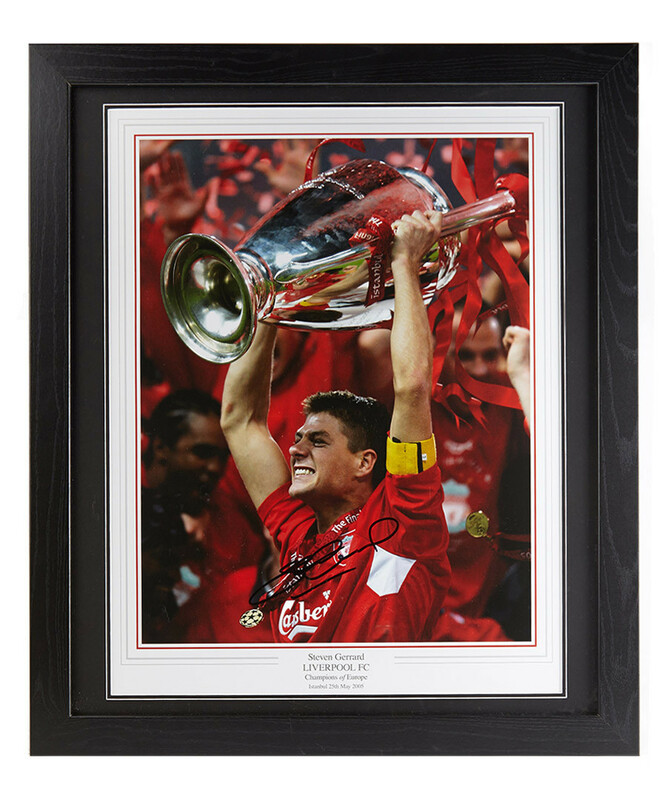 This signed Steven Gerrard photo is a must-have for any dedicated Liverpool FC fan. He played his first game for the team aged 18 and he's a certified Liverpudlian legend. Hang it on your wall to show your unwavering support for your favourite team.